Happy International World Book and Copyright Day! It’s a celebration of authors, illustrators, books and reading, held annually on 23 April—a symbolic date coinciding with the anniversary of the deaths of William Shakespeare and Miguel de Cervantes. By celebrating, UNESCO seeks to promote reading, publishing and the protection of copyright, and will be hosting a series and events and conferences over the coming days. 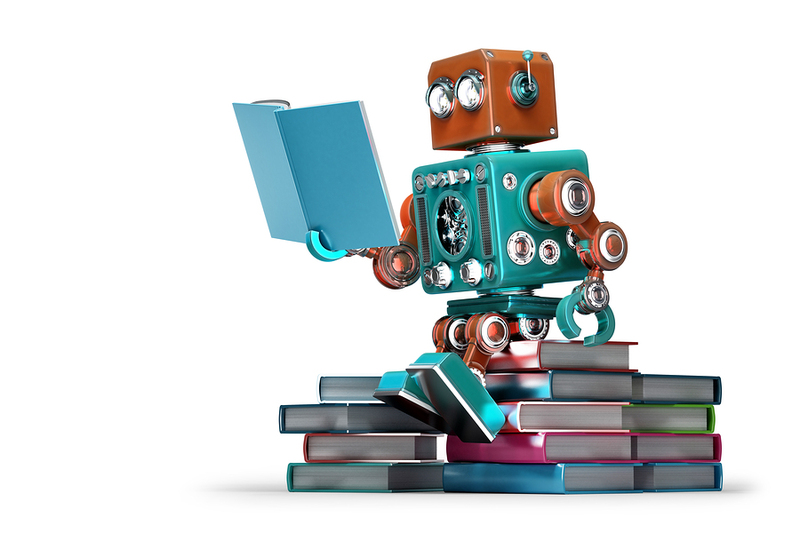 Here at Robohub, we’re celebrating by sharing our list of 20 robot related books (in no particular order) aimed at engaging kids and/or teens with everything robotics. Ranging from funny fictional narratives to DIY drone building and coding, these books are sure to stoke the imaginations of budding innovators and creators. If you can think of any other books that deserve inclusion, we’d love to hear about them! 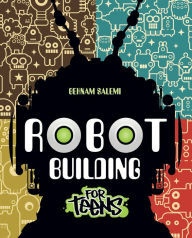 Robot Building for Teens (2014), by Behnam Salemi. Robot Building for Teens will teach you how to get started in this fascinating hobby. The projects in this book include the “Digital Brain Robot,” the “Bug Bot,” and even a robot on wheels! You will learn how to design your robot, how to create a prototype, where to buy parts, how to program your finished robot to perform tasks, and more. You’ll be led step-by-step through the projects in the book. Along the way, you’ll learn about advanced robotic systems that use the same principles you’re learning, and you’ll get a glimpse into the future of robotics. This book’s companion website includes software program files, parts lists for each project, and links to online parts suppliers. Robot Building for Teens is a fun, easy-to-understand, hands-on guide that will have you building your own robots in no time. 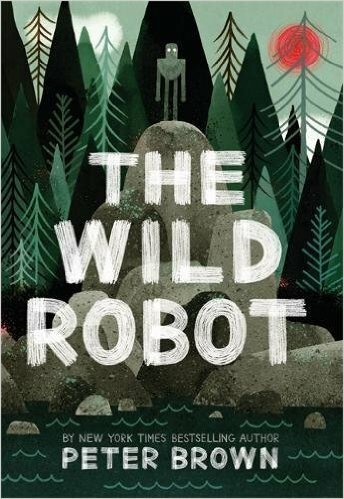 The Wild Robot (2016), by Peter Brown. When robot Roz opens her eyes for the first time, she discovers that she is alone on a remote, wild island. She has no idea how she got there or what her purpose is–but she knows she needs to survive. After battling a fierce storm and escaping a vicious bear attack, she realizes that her only hope for survival is to adapt to her surroundings and learn from the island’s unwelcoming animal inhabitants. As Roz slowly befriends the animals, the island starts to feel like home–until, one day, the robot’s mysterious past comes back to haunt her. 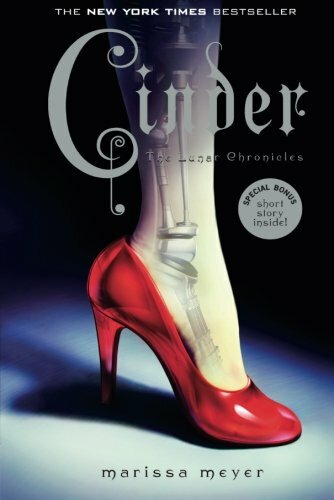 Cinder (2012), by Marissa Meyer. Robots in Space (2015), by Jenny Fretland VanVoorst. 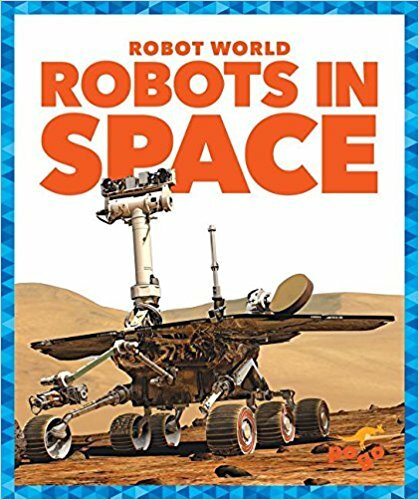 In Robots in Space, early fluent readers learn about the many ways robots have expand what’s possible in the field of space exploration. 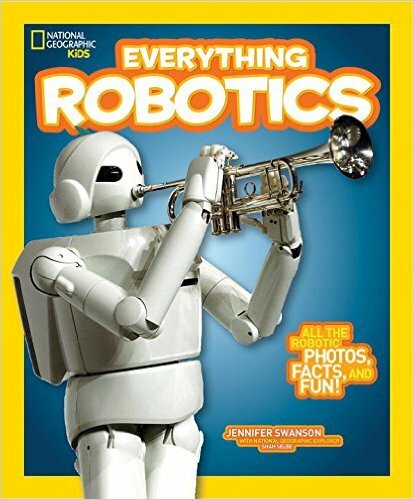 Vibrant, full-color photos and carefully leveled text will engage young readers as they learn about the fascinating world of robots. 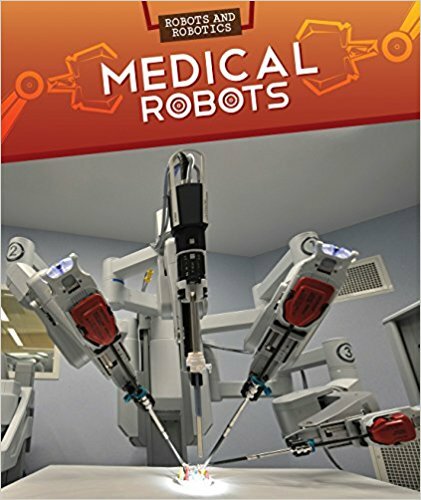 Medical Robots (2016), by Daniel Faust. Can robots save lives? Medical robots save lives every day, and theyre sure to save more as their technology advances. This book describes the amazing work done by medical robots, from surgical robots to nano-robots. Readers will learn about the medical breakthroughs performed by robots, the latest models, and the future of robots in medicine. Accessible descriptions of how medical robots work will engage readers and give them a deep understanding of this burgeoning technology. Color photographs of each robot are provided to give readers an inside look into the operating room and beyond. 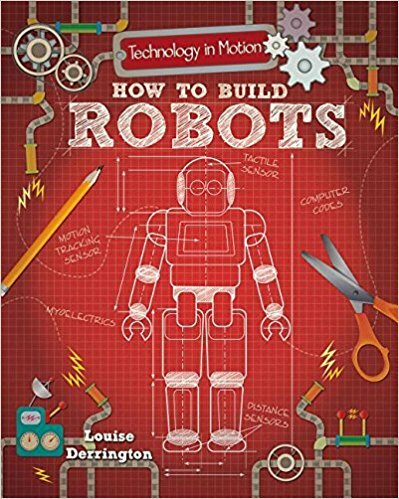 How to Build Robots (2017), by Louise Derrington. How to Build Robots instructs readers on how to make useable robots, including one that will scrub a table! Featuring easy-to-follow instructions, vivid photographs, easily accessible materials, and a handy template, readers will delight in watching their creations come to life! 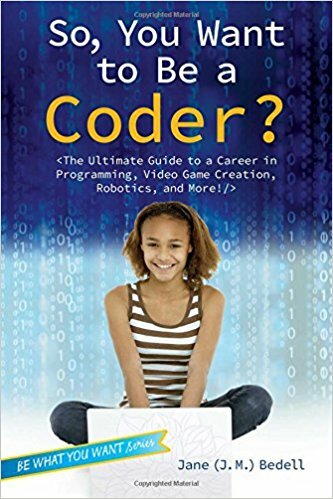 So, You Want to Be a Coder? (2016), by Jane Bedell. 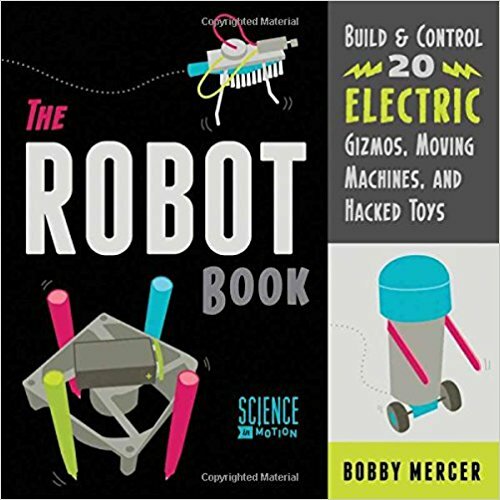 The Robot Book: Build & Control 20 Electric Gizmos, Moving Machines, and Hacked Toys (2014), by Bobby Mercer. Author and physics teacher Bobby Mercer will show you how to turn common household objects and repurposed materials into 20 easy-to-build robots for little or no cost. Turn a toothbrush, an old cell phone or pager, and scrap wire into a Brush Bot, or hack a toy car to hotwire a Not-So-Remote Bot. A small electric fan, several craft sticks, and rubber bands make a Fan-Tastic Dancing Machine, and drinking straws, string, tape, and glue can be used to construct a working model of the human hand. Every hands-on project contains a materials list and detailed step-by-step instructions with photos for easy assembly. Mercer also explains the science and technology behind each robot, including concepts such as friction, weight and mass, center of gravity, kinetic and potential energy, electric circuitry, DC vs. AC current, and more. These projects are also perfect for science fairs or design competitions. If You’re a Robot and You Know It (2015), by Musical Robot. It’s the classic version of If You’re Happy and You Know It as you’ve never seen (or heard!) it before. 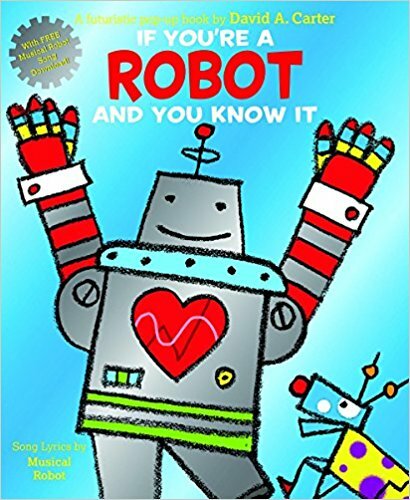 Sing along to the free downloadable song by the dynamic Musical Robot team, then turn the pages as David Carter’s clever pop-ups show the robot characters going through all of the call-out movements, from clapping hands to shooting laser beams out of your eyes! 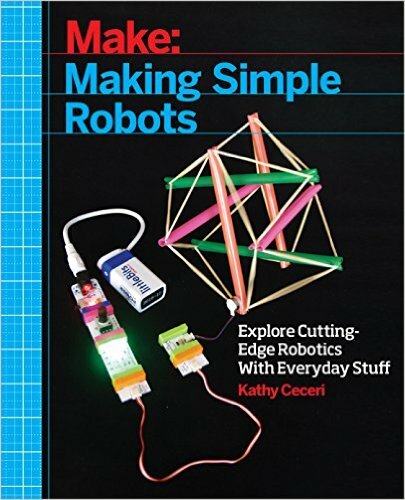 Making Simple Robots: Exploring Cutting-Edge Robotics with Everyday Stuff (2015), by Kathy Ceceri. Everything Robotics: All the Photos, Facts, and Fun to Make You Race for Robots (2016), by Jennifer Swanson. 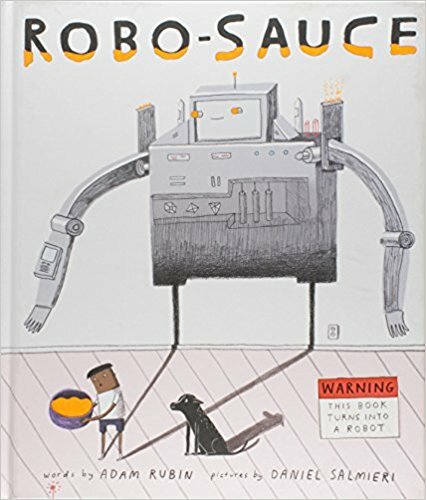 Robo-Sauce (2016), by Adam Rubin. Robots never have to eat steamed beans or take baths, or go to bed. If only there were some sort of magical “Robo-Sauce” that turned squishy little humans into giant awesome robots… Well, now there is. Giggle at the irreverent humor, gasp at the ingenious fold-out surprise ending, and gather the whole family to enjoy a unique story about the power of imagination. It’s picture book technology the likes of which humanity has never seen! Getting Started with Drones: Build and Customize Your Own Quadcopter (2016), by Terry Kilby and Belinda Kilby. Want to make something that can fly? How about a flying robot? 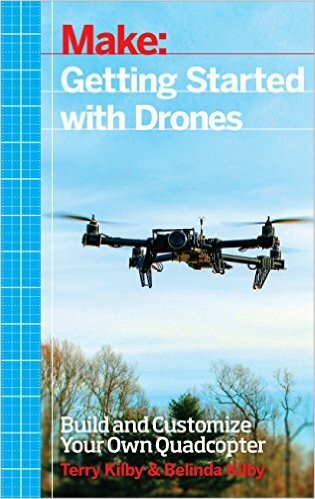 In this book, you’ll learn how drones work, how to solve some of the engineering challenges a drone presents, and how to build your own–an autonomous quadcopter that you can build, customize, and fly. Your drone will be your eyes in the sky and in places where a human could never get to-much less fit! 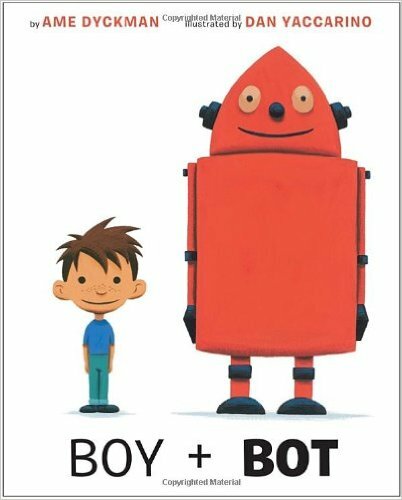 Boy and Bot (2012), by Ame Dyckman and Dan Yaccarino. One day, a boy and a robot meet in the woods. They play. They have fun. But when Bot gets switched off, Boy thinks he’s sick. The usual remedies—applesauce, reading a story—don’t help, so Boy tucks the sick Bot in, then falls asleep. Bot is worried when he powers on and finds his friend powered off. He takes Boy home with him and tries all his remedies: oil, reading an instruction manual. Nothing revives the malfunctioning Boy! Can the Inventor help fix him? Using the perfect blend of sweetness and humor, this story of an adorable duo will win the hearts of the very youngest readers. 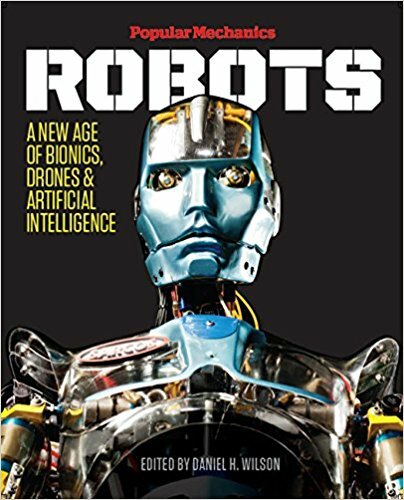 Popular Mechanics Robots: A New Age of Bionics, Drones & Artificial Intelligence (2015), by Popular Mechanics and Daniel H. Wilson. Thanks to film and literature, the idea of robots and artificial intelligence has long intrigued us. The fascination continues with Popular MechanicsRobots, which gathers the very best of the magazine’s fantastic robotic coverage and examines the way we live with these machines today—and how we will continue to exist with other advanced technologies in the future. Readers can now discover all varieties of robot, including ones that recognize our faces, gestures, and emotions; drive our cars; serve as highly intelligent personal assistants and medical diagnosticians; go into space; and even become embedded in our architecture and homes. Although robots can inspire both fear and wonder, author David H. Wilson shows how they’re an integral part of a wonderful new world. 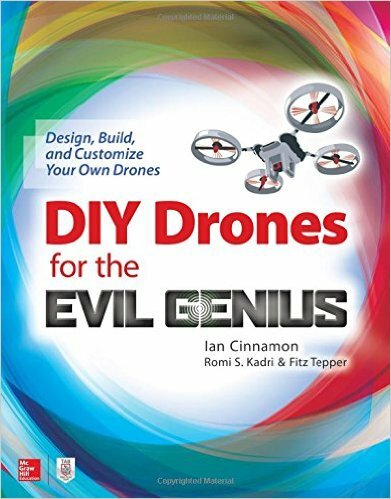 DIY Drones for the Evil Genius: Design, Build, and Customize Your Own Drones (2016), by Ian Cinnamon, Romi Kadri and Fitz Tepper. This fun guide shows, step-by-step, how to construct powerful drones from inexpensive parts, add personalized features, and become a full-fledged pilot. DIY Drones for the Evil Genius: Design, Build, and Customize Your Own Drones not only covers safety, mechanics, drone design, and assembly, but also teaches the basics of Aerospace Engineering. You will discover how to add video transmitters, GPS, first-person view, and virtual reality goggles to your creations. The book walks you through the FAA licensing process and takes a look at advanced concepts, such as artificial intelligence and autonomous flight. 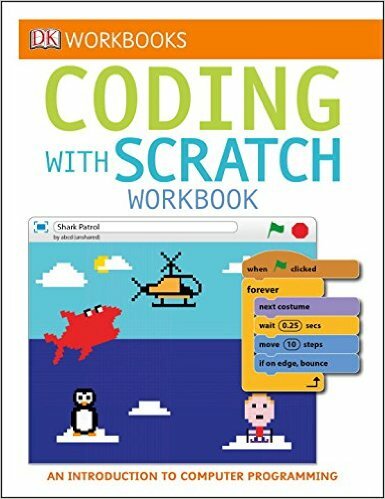 DK Workbooks: Coding with Scratch Workbook (2015), by DK. 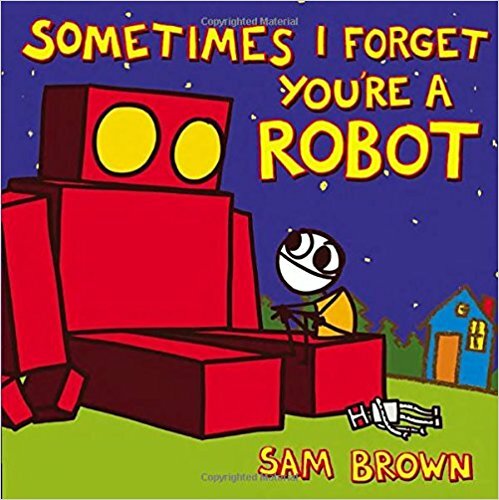 Sometimes I Forget You’re a Robot (2013) by Sam Brown. For a little boy who’s always dreamed of having his own robot, actually getting one isn’t what he expected at all. The robot can’t fly, or swim, or even talk. All he does is beep beep beep like a toy. But his robot does have some hidden talents—and one of them is being a great friend. In this unexpectedly poignant story about adjusting expectations, Sam Brown shows that while no one is perfect, a good friend sure comes close. 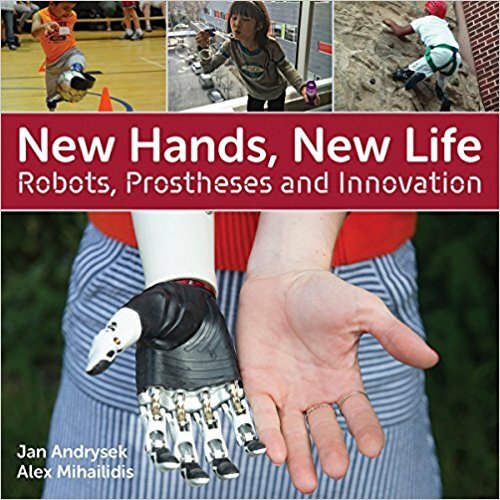 New Hands, New Life: Robots, Prostheses and Innovation (2017), by Jan Andrysek and Alex Mihailidis. Available for pre-order, New Hands, New Life offers young readers the opportunity to learn how our bodies work during physical activity and what happens when they don’t work properly. It shows how exciting advances in technology and science have allowed us to create assistive technologies — from artificial limbs and wheelchairs to exoskeletons and robots — that make it possible for someone with a disability to make new abilities. Assistive technologies are especially life-changing for a child who can overcome the challenges of a missing limb or reduced motor function to enjoy a life of learning and play that would be otherwise out of reach. Soft Robots: Paper, Silicone, Cloth, and Rubber Bots for All Ages (2017), by Matthew Borgatti. 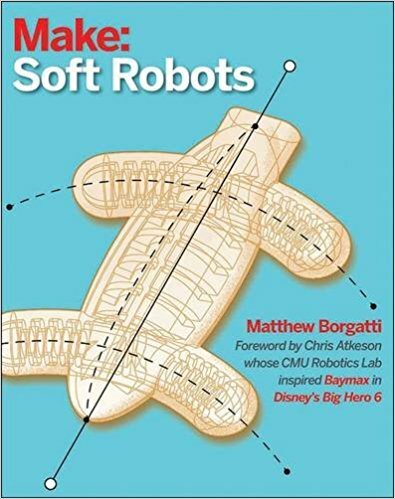 Popularized by Baymax in the hit movie Big Hero 6, soft robotics is a big, fun field. More than just cloth or silicone robots, soft robotics is all about getting motion out of soft things–paper, silicone, cloth, springs, rubber hoses–all these and more can be combined in different ways to come up with comfortable, friendly, and familiar-feeling solutions to interesting problems. And they can be fun to play with, too. This book is about taking different materials, combining them, and remixing them with 3d printing, laser cutting, mold making, casting, and sewing to create soft robots. You can pre-order your copy now.